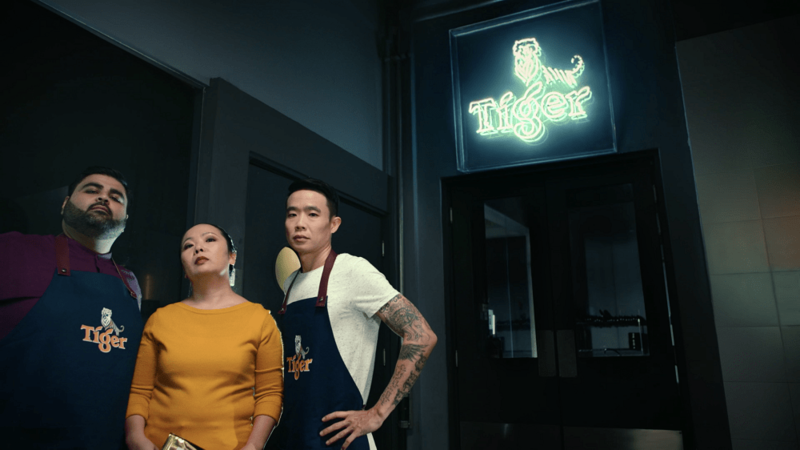 With this in mind, Tiger Beer is seeking toinspire Malaysians to pursue their dreams with its Uncage campaign,by showcasing the stories of three local heroeswho have challenged societal norms to pursue their passion. As food plays such an important role in Malaysian life, the three courageous individuals chosen have each pursued their passion for cooking in the face of other expectations. These uncaged heroes – Im Cheah, Jun Chan, and HerukhJethwani – have challenged conventions and culinary expectations with their innovative dishes. Each has chosen to leave behind more traditional career paths in order to pursue their passion: Im, a former creative directorat an advertising agency is now a full-time ‘baconist’,Jun’s love of soul food won out over his studies in Mechanical Engineering, while Herukh refused to play it safe, creating dishes which challenge everything you know about Indian cuisine. Their unique stories have been captured via a brand film launched today by Tiger Beer on their official website and social media platformshere. “Courage lies at the heart of Tiger Beer’s identity. As a brand, we believe that everyone has a tiger inside – you just have to find it. We want to show how all it takes is a dream and the passion to follow what you love to create something extraordinary. 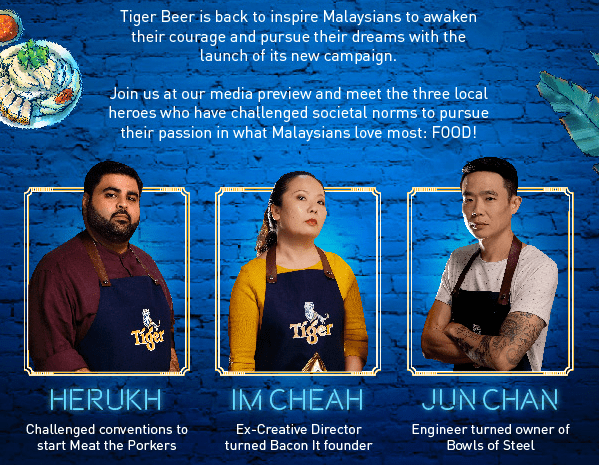 We hope that through our Uncage platform, the real and honest experiences of our heroes can inspire Malaysians to cultivate their passion, whatever that may be, even if that means challengingwhat society expects of u,.”said Pearly Lim, Marketing Manager of Tiger Beer Malaysia. Starting now until 2nd December,Tiger Beer fans who wish to be part of this Uncage campaign can partake in an online quiz named ‘Find Your Tiger’, to find out which of the six different tiger personalities they represent. That is not all – foodies can be sure to expect a delicious treat coming up specially for them in December, including special dishes created by the talented uncaged heroes, so be on the lookout for more updates. For more information on the Tiger Uncage campaign and to watch the campaign video, visit www.facebook.com/tigerbeermy, or www.tigerbeer.com.my. Fans who wish to participate in the ‘Find Your Tiger’online quiz, can visit https://bit.ly/2pL43Ugto get their customized Tiger Beer bottle labels. Source: Overall Share of Throat Aug ‘16 – Jul ‘17, Heineken ONEquity Brand Health Tracker by an independent global research agency. This entry was posted in Food and tagged food, tiger beer, tiger beer uncage, uncage by TheGoodGoodGuy. Bookmark the permalink.